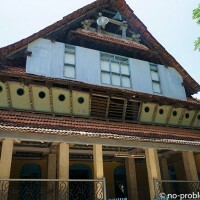 Kozhikode (Calicut), basking in an idyllic setting between the Arabian Sea and the luxuriant Wayanad hills, was once a major trading post and the capital of the powerful Zamorins (the local sovereigns). It was here, at Kappad Beach, that Vasco Da Gama landed with 170 men in 1498. 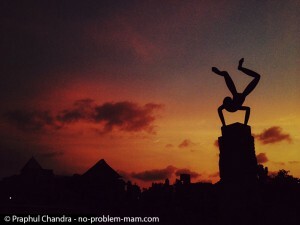 Kozhikode has long been a town of travellers and traders. Arab, Phoenician and Chinese traders operated here from the 7th century. 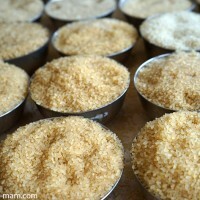 During the Middle Ages Calicut was known as the “spice city” as it was the main supplier of Eastern spices. 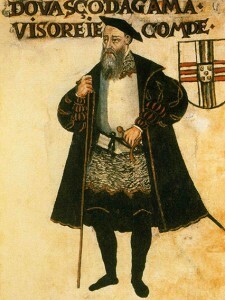 The arrival of the Portuguese explorer Vasco Da Gama in 1498 opened the direct trade route between Europe and Malabar (today’s Kerala). 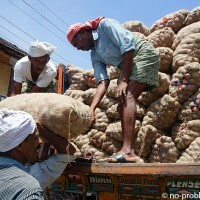 Kozhikode today is still a flourishing centre for national and international trade in commodities such as pepper, coconut, coffee and rubber, all mainly produced in the neighbouring districts of Wayanad, Malappuram and Kannur. The word Zamorin or Samorin is a Portuguese corruption of the word samudrathiri or samutiri raja, “great lord of the sea”, the title of the powerful rajas who ruled Kozhikode (Calicut) when Vasco da Gama landed on the coast of Malabar (modern-day Kerala). The Zamorins’ power relied on the moplah traders, who were Muslims of Arab origin, and a large fleet commanded by their admirals, the Kunjali. 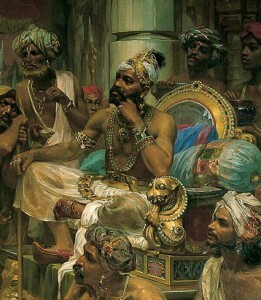 During the 15th century the Zamorins had extended their rule to several other kingdoms including Kochi (Cochin). 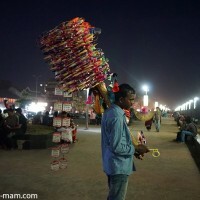 Mananchira Square is a park in the centre of town. 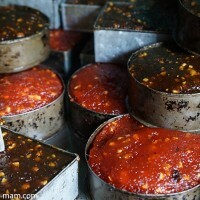 It is named after the artificial lake Mananchira, created by order of the Zamorin Manadevan. 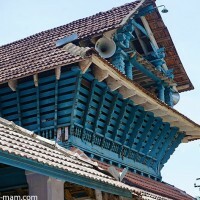 During the Zamorin (or Samoothiripad) period, Kozhikode was the capital of Malabar (a.k.a. Kerala); the town was fortified and boasted an imperial palace located where the park is today. The palace was destroyed by Tipu Sultan’s army in the mid-18th century. 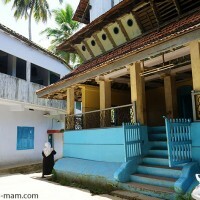 This lovely emerald green mosque in Kuttichira, the Muslim quarter of Kozhikode, is of considerable cultural, historic and architectural importance. 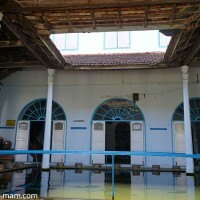 It was built in the 14the century by Nakhooda Mishkal, a wealthy Arab merchant. Originally the mosque had seven storeys but after a Portuguese attack in 1510 it was reduced to four. 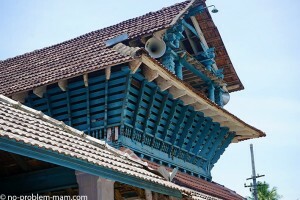 The mosque has no dome and no minarets; its style is more Keralan than Arab. 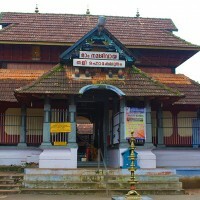 It features 50 doors and 24 carved pillars that support the structure. 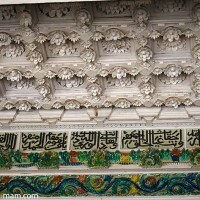 The outside is clad in Italian-style tiles and the prayer hall can accommodate some 300 people (originally 1400). 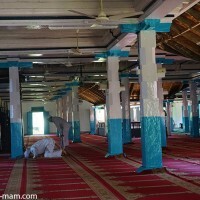 The mosque is also a fine example of the harmony between Muslims and Hindus that prevailed in those days; the Zamorin (sovereign) defended the mosque when the Portuguese attacked, and contributed to its rebuilding. N.B: The mosque can only be viewed from the outside; visitors are not allowed in. 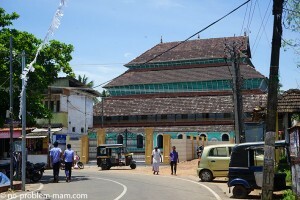 The Kuttichira Juma mosque, halfway between the Mishkal and Muchundipalli mosques, is said to date from the 9th century. 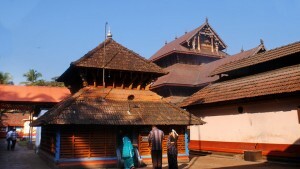 This remarkable wooden building in the Keralan style with some intricate woodwork and two pluvariums can accommodate 1200 worshippers. 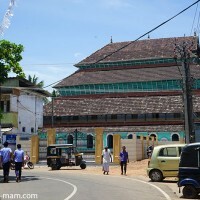 Still in the Kuttichira district, a stone’s throw from the Juma mosque, stands the Muchundipalli mosque, the town’s oldest. It is believed to be over 1100 years old. A door with inscription in Malayalam gives an idea of the religious tolerance that prevailed in the 13th century. It is said that the land for the building of the mosque was a gift from the Zamorin. 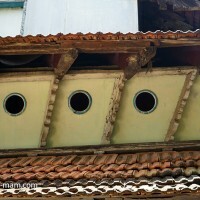 The double-tiered roof has an ornamental gable. 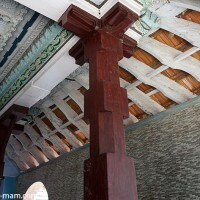 The flower-patterned ceiling woodwork, the finely carved pillars and the animal carvings are reminiscent of Hindu temple architecture. Like the other mosques, this one is for worship only and visitors are not allowed in. 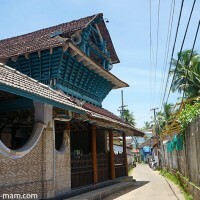 The Tali Shiva temple is near Mananchira Square and is considered one of Kozhikode’s oldest temples. It is said to date from the Zamorin period. 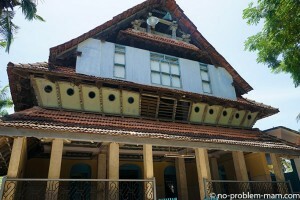 Built of laterite brick and wood, it is a perfect example of the Kerala architectural style. Every day five different religious ceremonies are held at the temple’s Shiva-lingam. 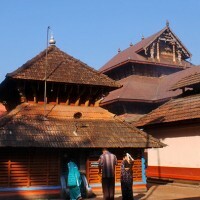 Unfortunately, as with many important temples in Kerala, it is not open to non-Hindus, and even Hindus must wear approved dress: saris for women and dhotis for men. 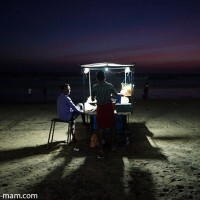 Kozhikode beach is a favourite spot for sunset watchers and the ideal place for seafood lovers. 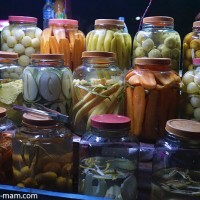 All along the promenade are stalls selling kallumekaya (mussels) and other seafoods. 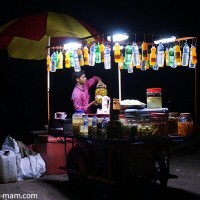 In the evening brightly lit stands selling drinks and pickles (achaar) are dotted like candles along the beach, creating a very special atmosphere. There is a theme park nearby. 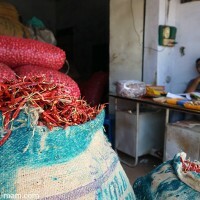 I always love exploring wholesale markets. 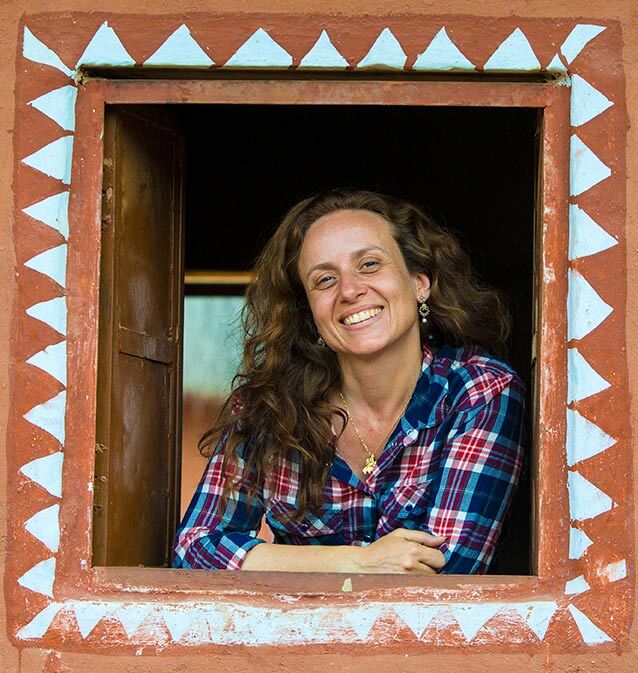 Few tourists go there and they are buzzing with authentic scenes and enriching encounters. 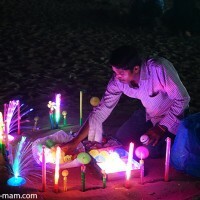 This market near the Kozhikode seafront is no exception. 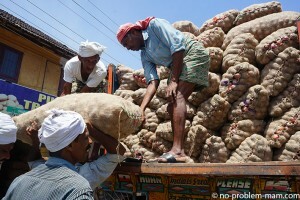 The goods traded here include every imaginable kind of rice and flour and of course India’s omnipresent spices. 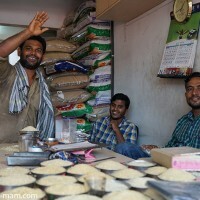 The merchants and traders always seem ready to pose for the camera and are proud to talk about their business. 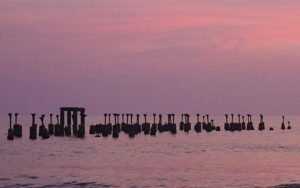 Beypore is a small village at the mouth of the Chaliyar river in Kozhikode district. In the past it was called Vaypura, and at one time Sultan Pattanam after the famous Tipu Sultan. 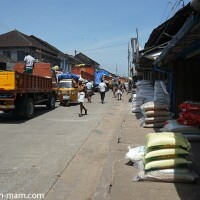 It was the port where trade between Asia and the Middle East began. 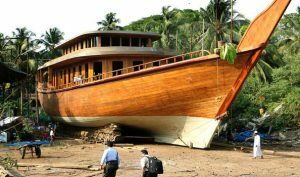 The village is also noted for building magnificent traditional wooden boats called urus, which are mainly exported to Arab countries. 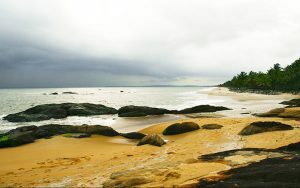 This beach with its fine sand and rocks, 40km from Calicut, has a history: it was here that Vasco da Gama landed on 20 May 1498, so establishing the sea route between Europe and India. The landing is commemorated by a small stone monument bearing the inscription “Vasco da Gama landed here, Kappakadavu, in the year 1498”. 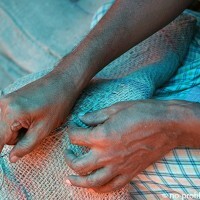 The best way to get to Kappad beach is to take the quiet and unspoiled backwaters of the Korappuzha River.